The quintessential feast day. 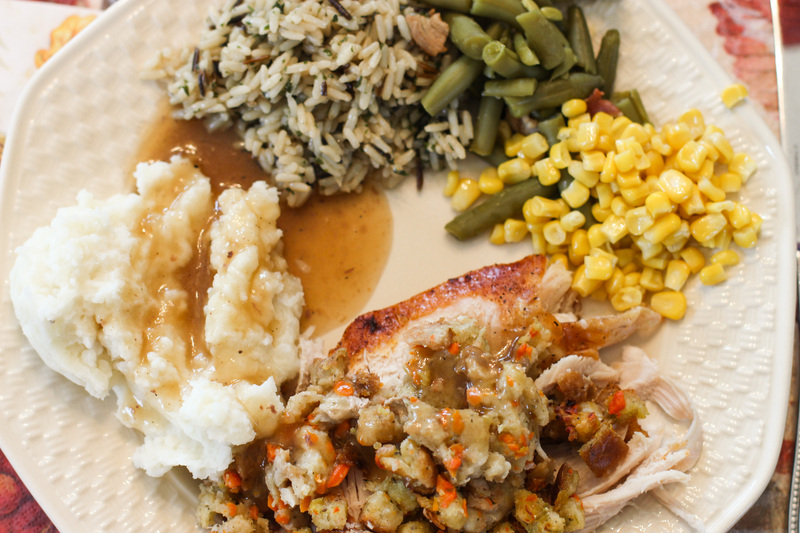 A celebration of food and family. Also known as “Turkey Day.” Yes, that’s right. It’s Thanksgiving. While there’s so much I love about this holiday, from making monstrous turkey-stuffing-potato sandwiches, to visiting with my uncle and grandparents, to catching a Packers game on TV, I absolutely love waking up at 10:30 to the hearty, mouthwatering smell of a turkey roasting in the oven. As much as I would love to be present and awake to watch the turkey cook and baste it and everything, this tired, worn-out college student is just too happy to be home in her own bed and get more than 6 hours of sleep. I made up for it, though, with my dessert. 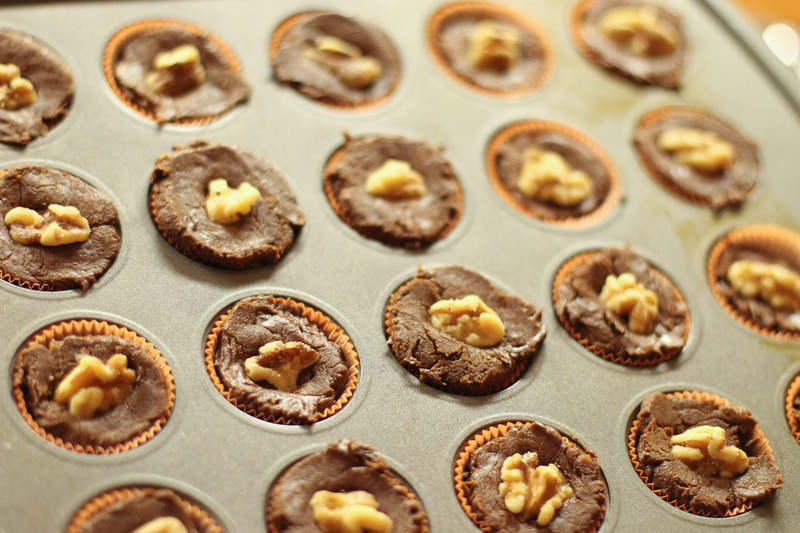 Last night before turning in for the night, I made a batch of walnut fudge cups. Lately, I’ve just really been into the idea of micro-dishes, like real food that comes in tiny quantities (fancy, huh? ), so I couldn’t resist the prospect of cooling my homemade fudge in mini cupcake liners rather than a big, ugly 8×8 traditional baking pan. Of course it must be acceptable to sleep in a little later if you give your family some of these, right? P.S. 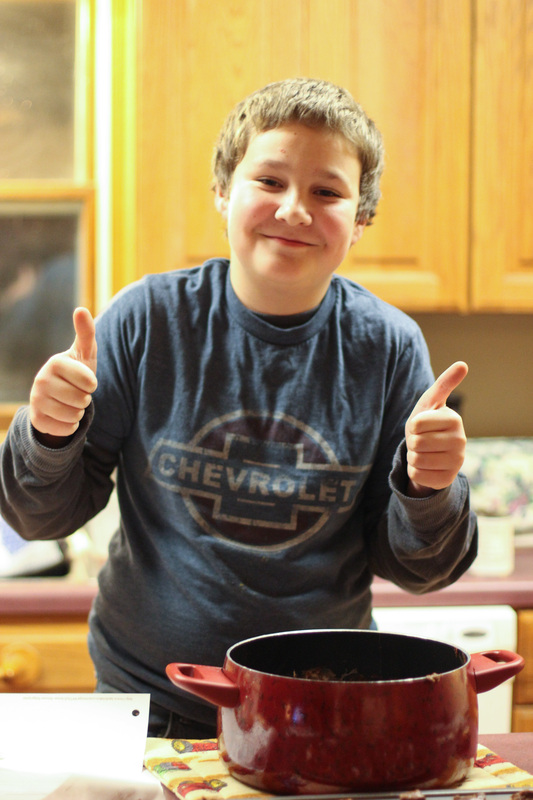 To all of you reading my blog and enjoying my recipes, pictures, obsessions, anything, just know that you all rock. I’m beyond grateful for all you guys because I’d probably still write this blog out of my love for food, but it’s y’all who make it exciting for me. Thank you for everything, and have a happy Thanksgiving! 1. 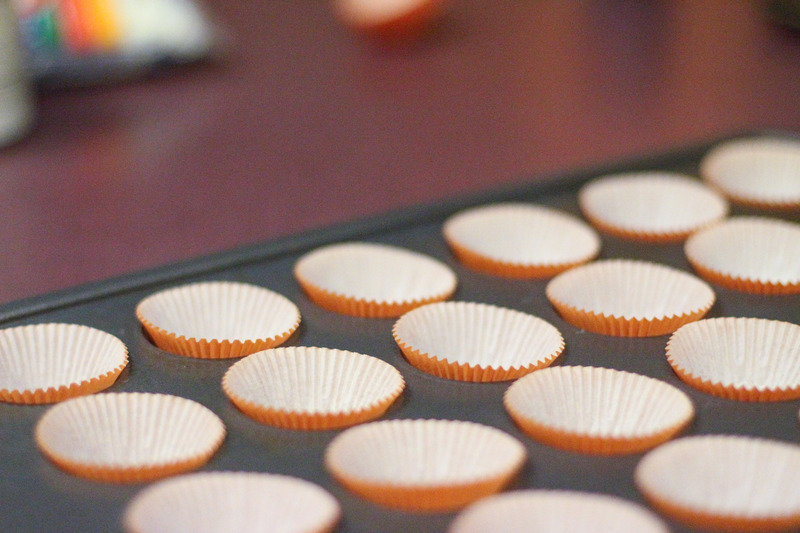 Line a mini muffin tin with mini cupcake cups. 2. 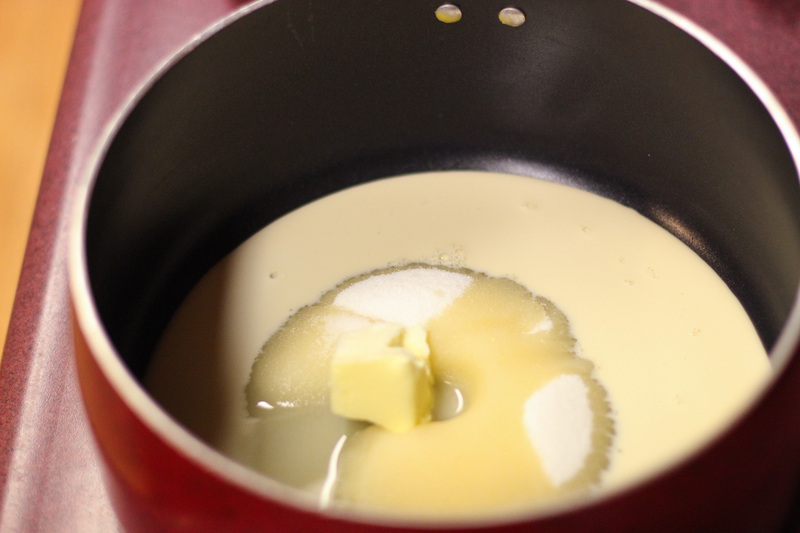 Mix sugar, evaporated milk, butter and salt in a saucepan. 3. 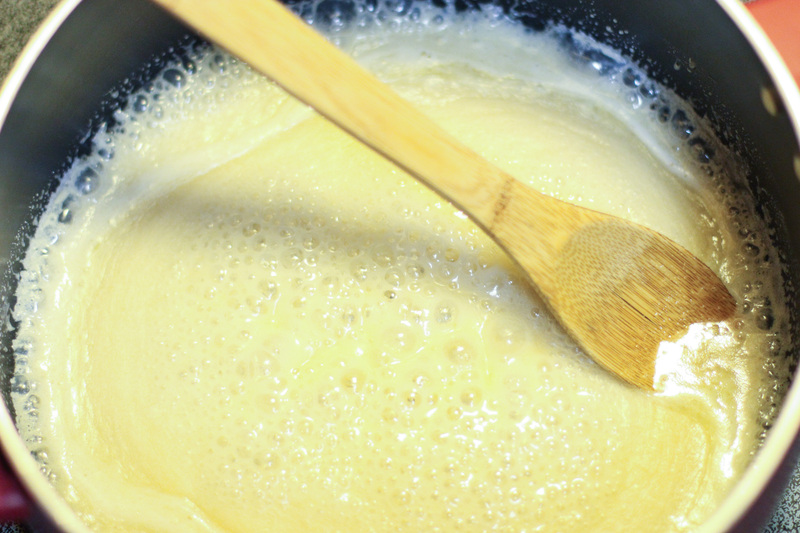 Boil for 4-5 minutes over medium heat, stirring constantly, then remove from heat. 4. 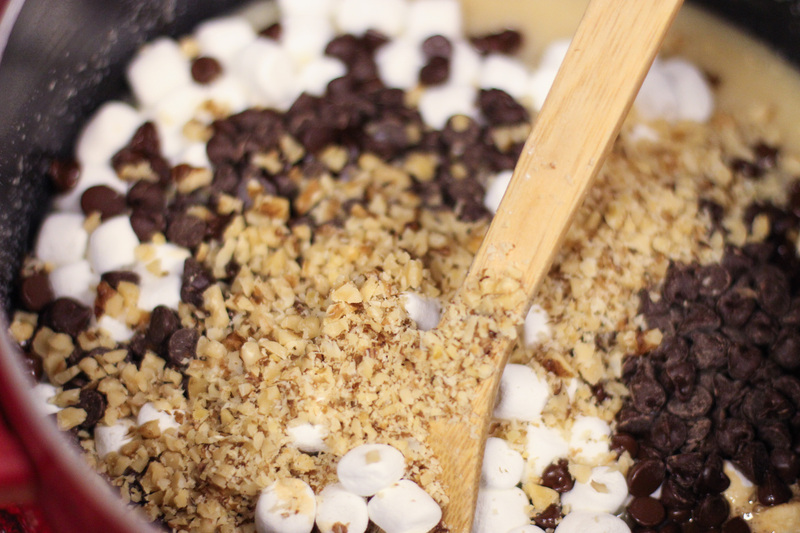 Add marshmallows, chocolate chips, chopped walnuts and vanilla. Mix well. 5. 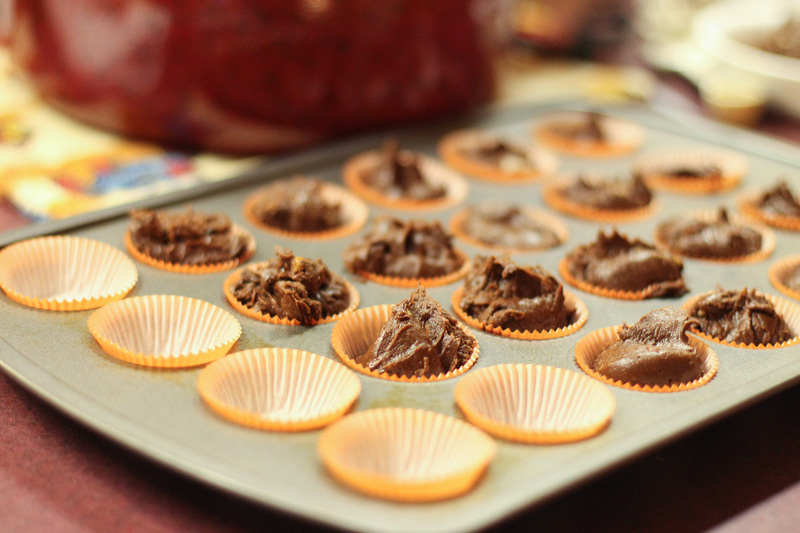 Scoop fudge into cupcake cups and flatten. 6. 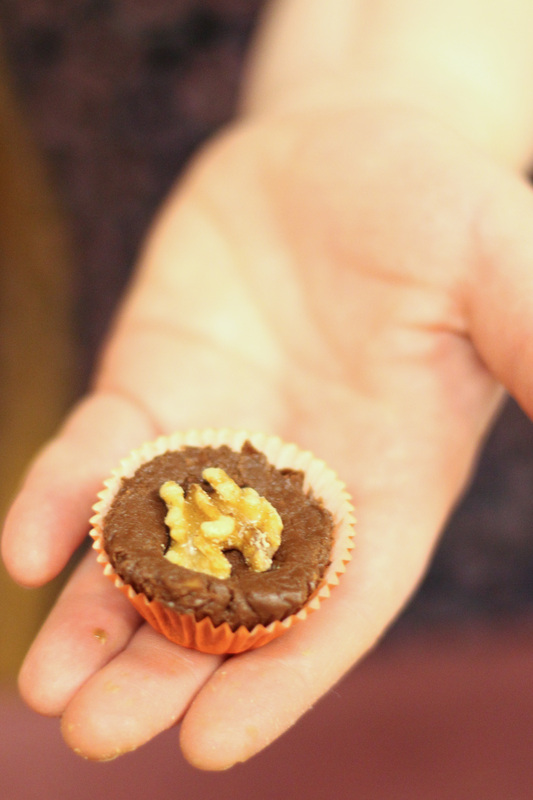 Press whole walnuts into tops of fudge cups. 7. Refrigerate for a few hours, or until firm. This entry was posted in dessert, Recipes and tagged chocolate, dessert, desserts, food, fudge, fudge cups, gratitude, marshmallows, recipe, recipes, thanks, thanksgiving, walnut, walnuts. Bookmark the permalink.